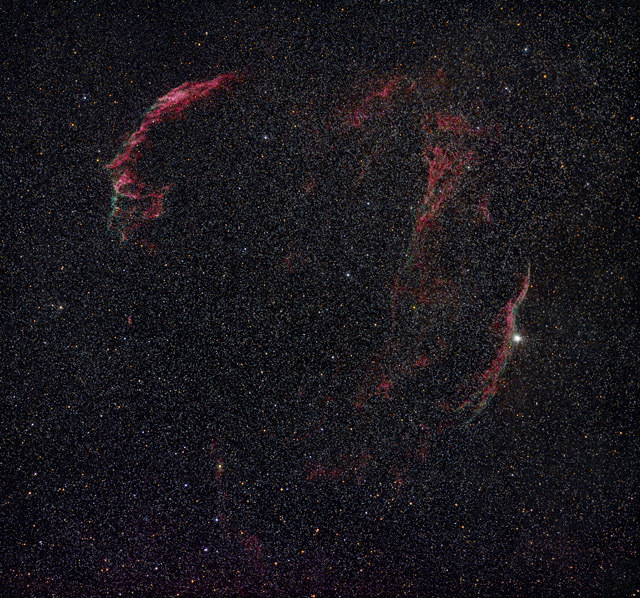 The Veil Nebula in Cygnus is the remnant of a supernova that occurred about 35,000 years ago. We see fragments of an expanding shell of heated gasses. Of all of the large objects in the sky, the Veil has the most prominent bluish-green nebulosity due to fluorescence of ionized oxygen-III. This image was composited into the September image of the 2003 RASC Observer's Calendar.